By Seyi Atere-Roberts – As I compose this short but concise article from aboard an Arik flight from Lagos to Banjul to attend a cousins wedding, I recall that my last visit (three years ago) was via Gambia Bird airline(which doesn’t fly anymore). So before I summarise how I feel the Gambia could achieve sustainable national development and progress in unprecedented time, I have to emphasize the formation of a national carrier to enhance regional/continental tourism and trade. In a short period Air Rwanda using Ethiopia airlines as a model have joined the limited league of jet set African carriers. Ok that said I will now like to illustrate how I feel Gambia can emulate the success story of Rwanda. Note that Rwanda and the Gambia have some stark similarities, from land size, to paucity of mineral resources, to being over shadowed by bigger neighbors. For those who are unaware(and quite a lot of Africans) Rwanda is a knowledge-based economy, an innovation-powered ecosystem as the country has successfully implemented Lee Kuan Yews’ Singaporean model. Rwandas’ president Paul Kagame vision was ambitious and incorruptible; for his country to be a regional tech hub and global player(not spectator like most African countries) in cutting-edge technological advancements. A perfect illustration is the fact that the worlds’ first ever drone port is located in the sprawling hills of Rwanda. 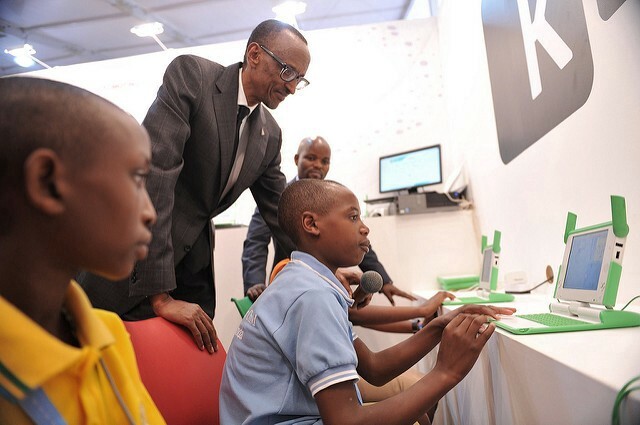 Rwanda was also the first African country to roll out free high-speed broadband internet. Rwanda also has highest rankings in Africa for ease of doing business in which companies can be registered in less than 5 hours. All these among many others illustrate why Kagame and Rwanda are not joking(while many African countries are standup comedians) in their bid to achieve sustainable economic development. Now where does The new Gambia come in, a small tourist-attraction country with no mineral resources surrounded by Senegal. Most of The Gambias’ population are under the age of 40 and albeit alot of young men have crossed the Saharan desert(backway) in search of greener pastures, there is still a vibrant, youthful population who will be future human capital assets. This is the main reason I believe The Gambia must look towards Technology and Innovation to achieve sustainable national and economic development. I happen to be a tech entrepreneur from the millennial generation so expect some bias but Tech and Innovation have evidentially empowered small nations globally (Israel, Chile, Estonia to mention a few) enriching them in the process acting as their own sufficient natural resource. The new government should look into creating a technology-driven business environment an atmosphere of innovation, they should prioritise technology which will exponentially grow the economy with no strings attached or dependence on any commodity. The Gambian government will have to start by creating and supporting innovation hubs offering subsidised broadband internet connection and other incentives. Next will be to modernise the business climate, reduce time for business registration process, tax breaks for young entrepreneurs and startups. 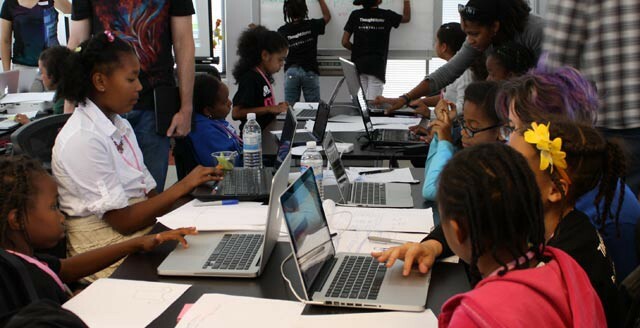 The government could hold programming events & competitions(sponsored by telcos/banks) targeting kids as well young adults(programming is the most in-demand skill globally) Partnering with Rwanda, Senegal and other regional tech driven states will also be a smart move. For instance the government could partner with BudgIT a West African startup promoting open governance and accountability. One of the most effective ways of combatting the plague called corruption is through transparency and monitoring of government expenses, literally following the money. The truth is no matter how great the intentions of President Barrows admin, if corruption is not curbed early and at its root all achievements/progress will be non-sustainable. Corruption is a cancer which will eventually spread and infiltrate all systems and levels of governance. The diasporas(which are a huge pop. size) are not left out in molding Gambias’ sustainable model of national development powered by innovation/tech. Their remittances can be used as the much needed capital for the many bright entrepreneurial minds. We will create a platform where Gambians abroad can provide investment/funding for promising local startups and also monitor their progress and traction. Gambia is fertile land, an untapped startup market begging to be exploited. Gambian youths just have to seize the opportunity. Technology has no borders, a high-tech solution created in an innovation hub in Serekunda can be providing solutions to users in Timbuktu. A locally made drone by some high school science students can be supplying medical vaccines and supplies to a village in Basse saving lives in the process. 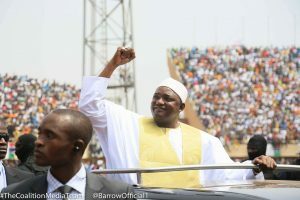 Gambia could be home to a solar powered data center offering cloud hosting services to regional banks and big companies. There are just so many tech-powered services to offer. There really is no limit to tech and innovation. The time is now, actually the time was a while back but its not too late to hop on the innovation-driven economy train. The government has to have the political will, and the youths have to the drive, the grit, and most importantly the ambition. The private sector also have a role to play in financing these ideas, the middle class and high-net worth citizens should not leave the funds idle in banks abroad they should sow seeds in the future of Gambia because it is no secret that we live in a tech-powered world. I see no reason why in a few years Gambia cannot be the Rwanda of West Africa establishing itself as a tech hub exporting problem-solving innovations. It all starts with the vision. The author is the creator of a salary advance platform TheAdvancer™ voted one of the 100 most promising and innovative Fintech companies in Africa. He is very passionate about startups and entrepreneurship and sees it as a way out for a generation failed by its continents leaders and a governance system that is corruption ridden.